Throughout the year, Belize opens its doors to numerous visitors from all over the world, as they come to explore this side of the Maya Empire. Among the many adventures, which the destination offers, boat sailing is one of the most popular. Your trip in this part of the world will not be complete if you do not take a boat ride. Treat yourself to the scenic and tranquil areas of Belize’s reef. It is interesting and fun and you will never forget boat adventure experience. What is in a boat adventure? You are not limited on the routes you can take to explore Belize waters. However, when you want to escape the havoc in the city, a tour from Caye Caulker to Placencia, will be a perfect boat adventure. This tour is confined within the inner reef, where the water is calm and it offers the best joints for snorkeling and fishing. Another advantage of visiting this part of the Belize reef is that it allows you to alternate your tour from water to land. You will have the opportunity to enjoy the picturesque Caribbean islands. If you are taking an overnight sail, you can spend a night at Tobacco Caye and Rendezvous Caye. While here, you can find time to tour South Water Caye, Goffs Caye or English Caye. From sunrise to sunset, the boat will travel the pristine waters and at this time, you can capture the surrounding memories with your camera. There is a lot to see, from the nearby landscapes to the expansive water stretch. A boat adventure is perfect where you are travelling with your significant other. Mostly, the boat will stop at certain times during the day to allow interested tourists to snorkel around Tobacco Caye and Rendezvous Caye. Besides, snorkeling and sailing a boat adventure in Belize, will give you chance to exercise fishing. Most tour boats will have in store trawling rods, hand lines, spear gun and spin rods. If you love to fish, this is the time to make a huge catch, with a trawl net, learn about spear fishing or any other skill in the art. Where you are travelling in a group, you can compete on who makes the largest catch in the group. Fishing is fun because most people have never seen fresh fish from the waters. After a hard day, sailing, snorkeling and fishing around Belize, sit around campfire, as you dine on marshmallows. Star watching can also be a part of your evenings not to mention enjoying the cool breeze from the calm waters. You can choose to sleep in camping units or book a room in the nearest resorts. But, a night on a camp bed after enjoying the warmth from the fire will be magical. You now understand what a boat adventure in Belize, have in store for you. It is something you cannot afford to miss when visiting Belize. 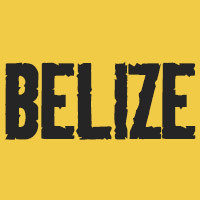 For more information on adventure trips to Belize, contact us!